Bruce interviewed Lucas and Joe from Chicago's Rowboat Creative at ISS Long Beach 2019. Rowboat Creative is not quite an ad agency, not quite a print shop, not quite a production facility, and not quite an art studio. They're an unparalleled blend of everything that makes print shops so powerful: they convert ideas into reality. They've expanded their vision far beyond custom printing and high-volume contract printing. They're leading the newest thinking about how people interact with brands. Brand activation and experiential marketing are the next horizons to pursue. Print shops shouldn't fall into the trap of thinking their brand and reach only extends to the walls of their production facility. Your ability to make an idea come to life is an invaluable asset. Why: "Your brand will exist, grow, and be realized." How: Rowboat's fearless ability to execute "the wild ideas"
Rowboat Creative, Bella + Canvas: Why Live Hand Jet Printing and Experiential Marketing? Remember this wild handheld jet printing gun that made the rounds on the internet? Yeah – Rowboat Creative did that. Joe and Lucas dug into the hardware and figured out a way to reprogram the gun. Rowboat Creative partnered with apparel manufacturer Bella + Canvas to create a stunning experience for ISS Long Beach attendees. Even jaded and skeptical printers had their curiosity piqued by this wild new experience. Point-and-shoot printing? Unforgettable. Rowboat even printed custom garments for runners at the Chicago Marathon with the "print gun," and pumped out thousands of prints per day. More than 40,000 people run the Chicago Marathon every year, and thousands more show up to support their friends and family. That kind of valuable exposure coupled with truly unique marketing is how brands can break through the noise and develop direct relationships with their customers. So why is this sort of experiential marketing so valuable? It activates the brands behind the marketing. Customers experience a rush of curiosity, personally connect with the brand, and leave with a deep imprint that they're going to remember – and tell their friends about. This is how Rowboat Creative is pushing the entire industry forward. They're thinking beyond the confines of their shop and moving to the real world. By partnering with Nike, Adidas, Bella + Canvas, Rowboat Creative is at the bleeding edge of live printing and print-oriented brand activation. Rowboat Creative started in a basement in 2006. They grew to an 8,000 square foot facility – and then to their current 60,000 square foot facility. They've leaned on high-volume contract printing to fuel their growth, but eventually realized that they had to find a new frontier for their business. But how do you balance growth with the harsh demands of a high-volume production environment? By clearly defining who you are, and what your business mission is. This isn't as easy as it sounds, and wound up being what 2018 really was about for the team at Rowboat Creative. They had to pick and choose the projects that made the most sense for them financially and developmentally. "We understand who we don't want to be and who we don't want to evolve into." As they've grown and developed, they've clearly defined their values and priorities. Having that vision – and being able to execute it – is why Rowboat's branding resonates so well. How do you make custom printing less repetitive and more fun? Joe and Lucas advised us to go back to the beginning and remember what it feels like to be behind the press. You can't just sit in your office with a whip and threaten employees. You have to build a family. Be on the production floor. Stay in constant contact. Have a comfortable and low-stress area to meet and hang out. Prioritize learning over punitive measures. Spoilage and screw-ups are ways to learn and become better. You want these issues to float to the top, not stay hidden in a pile of shirts. Get the cool customers. 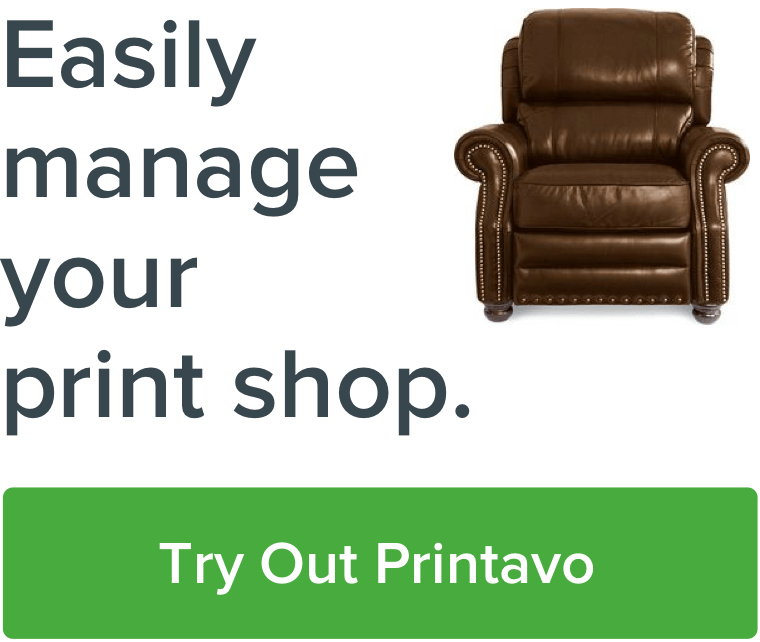 Figure out who you want to print for. It matters more than you think. If you're printing art you love for a brand you respect, you're going to be more fulfilled. Build a culture that puts people and their development at the center. You can't work artists to death. You have to nurture them. Great screen printers don't just appear on Craigslist – so take care of them. Rowboat has an all-hands meeting every Monday morning. But it isn't just pulling up work orders and quarterbacking the week's jobs. For five minutes, an employee gets to do whatever they want. It can be (just about) anything! This gets the team back into the groove. Once the dust from the weekend is cleaned off, the team gets down to business naturally. Blend the personal and professional with things like "Adult Show & Tell." The Rowboat team brings in something to show off. They've all been stunned by how interesting and enjoyable this team building strategy is. Do you really know this team you're spending so much of your life with? Small, repetitive, simple exercises over a long span of time build into a bigger working culture. You have the freedom to make your shop anything that you want it to be. By never forgetting that Rowboat Creative is first and foremost about making great art, Lucas and Joe focused on developing the right clients instead of taking every job that showed up at their doorstep. They focused on growing the right way. This actually helped their business more than taking every contract job they could print. "Sales can go out and kill it. They can get a million piece run for Drake and Britney Spears. But we don’t want this to feel like it’s a prison, a production line, or a sweatshop. Protect the house." It's obvious that Rowboat Creative is an extension of Lucas and Joe's deep desire to execute the jobs that keep them interested. "We get bored very fast," says Joe. They want to do everything possible to avoid falling into comfortable patterns. They're hungry for challenges, unique new opportunities, and more chances to execute projects that push the boundaries of what a traditional print shop would even consider. "We get all the crazy asks from other facilities. How do we do something that's totally crazy? How do we bring that to life? We do the ideation. We help build instead of just saying, 'Here's your PO.' Bring that vibe, but be a production facility too." Rowboat still prints plenty of large custom merchandise orders for touring bands, food delivery services, and large corporate brands. But they're also aware of the need to balance the desire to go bigger, go faster, and go harder with keeping the right employees in their shop – and staying laser-focused on what Rowboat Creative's ultimate goals and ambitions are beyond a bigger bottom line or more profits. They're trying to make connections with their customers – so that their customers can succeed. "If we lose being able to focus with the same care on that person that needs 24 pieces as that person that needs 10,000 – we’re starting to lose what Rowboat Creative is," Lucas told us. We're constantly stunned by the creativity and ability of our partner shops. Rowboat Creative is setting a high standard and leading the way toward a totally different vision of what a print shop could be. Be sure to follow them on Instagram for their latest projects! Lucas and Joe are also attending PrintHustlers 2019, July 12-13 at East-West University in downtown Chicago. It will be an action-packed 2-day conference for high-level discussions about running a successful screen printing, embroidery, and custom apparel printing business in a challenging and competitive environment.